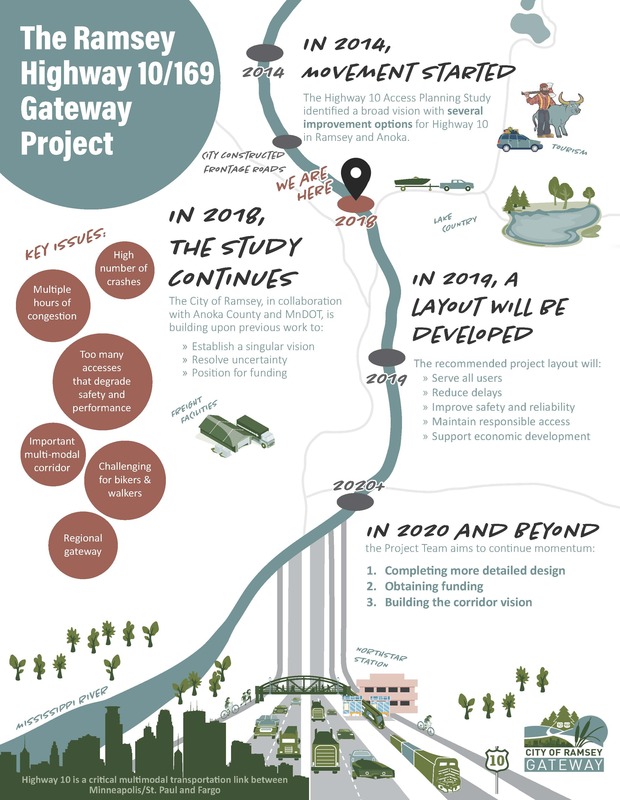 WHAT IS THE RAMSEY GATEWAY PROJECT? 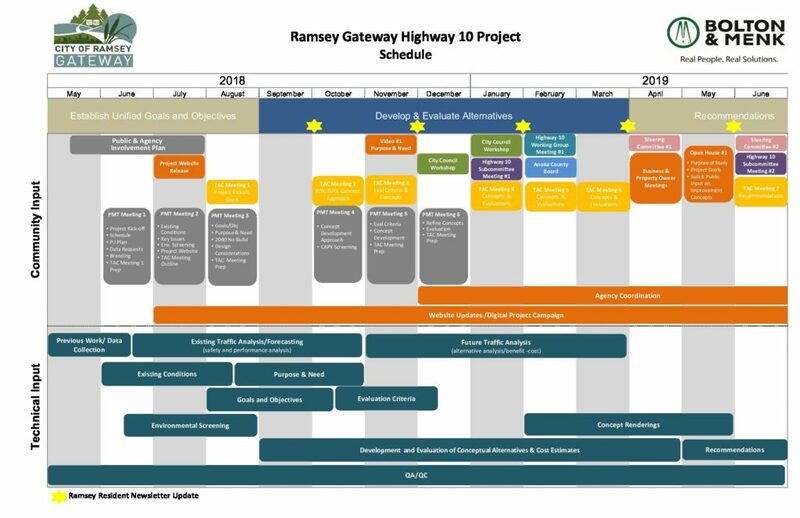 The City of Ramsey, in partnership with Anoka County and MnDOT, has begun an effort to advance improvement plans for Highway 10. 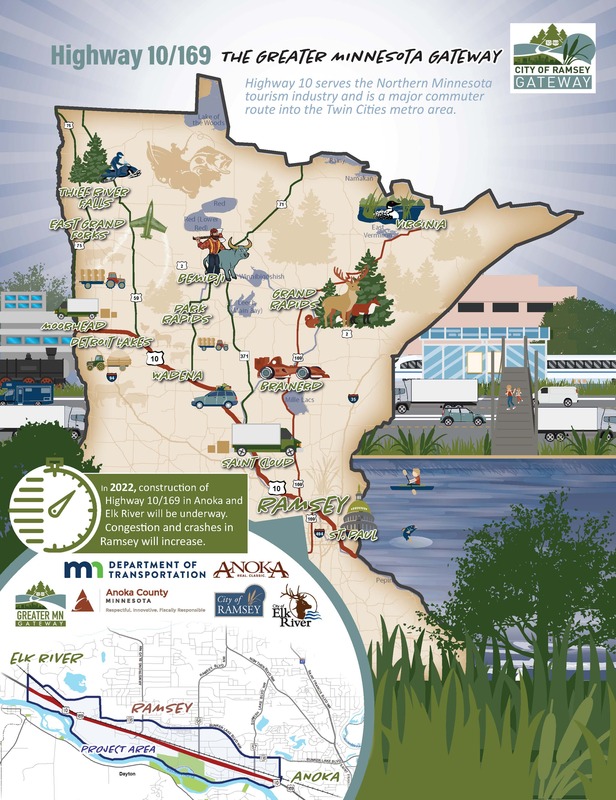 This will build upon work completed in the 2014 Highway 10 Access Planning Study. The result will be a clear, single plan for improvements and an implementation schedule to phase improvements into right-size, achievable projects that can be funded through various sources over time. Check out the Purpose & Need Video to learn more! To sign up for project updates, please enter your contact information below.